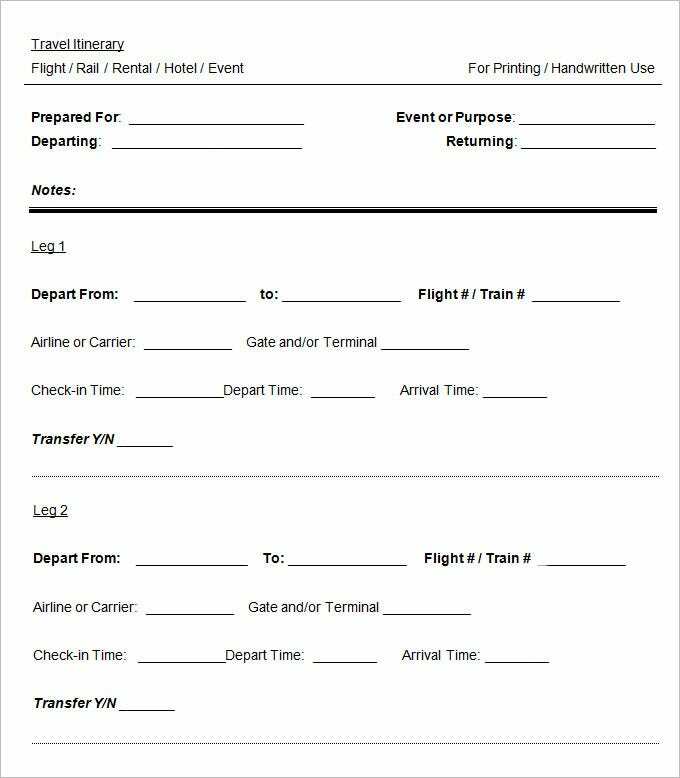 This Free Printable Cruise Itinerary Template is downloadable and can be used for planning a trip with separate legs. At a glance you can look at the entire trip plan, accommodation etc. 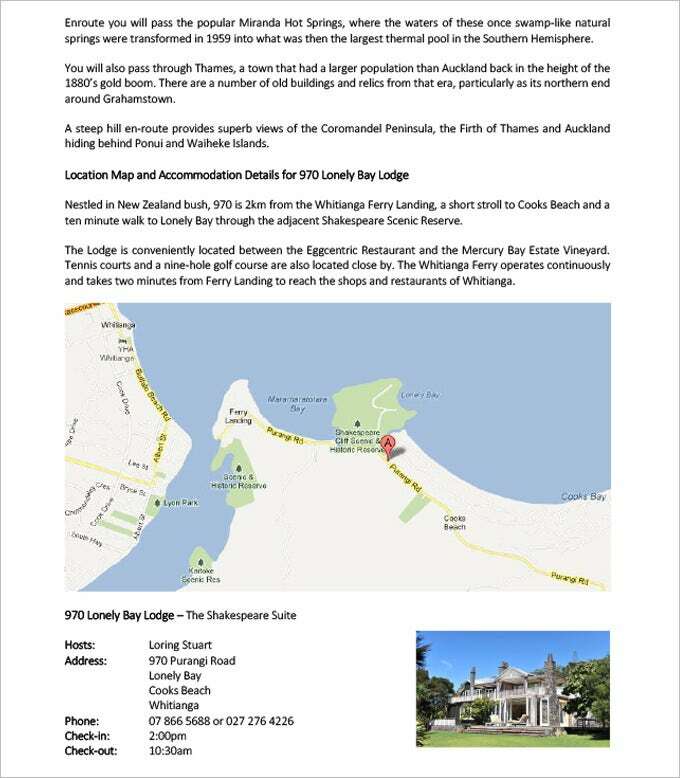 This Travel Itinerary Template is MS Excel based and gives you a detailed account of all aspects of a trip in a tabulated format. It also includes a section for Budget. 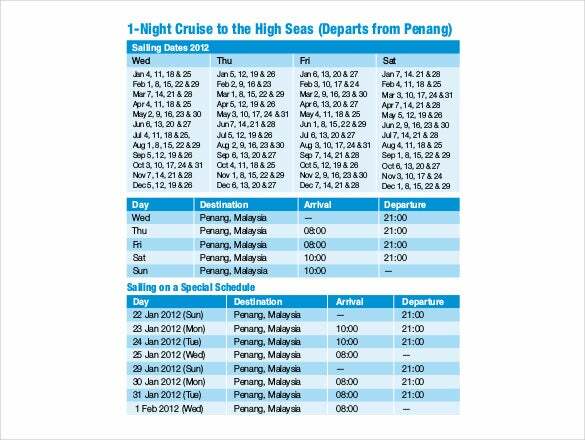 www.starcruises.com | This Cruise itinerary can be used by Cruise planners to advertise or send out details of their cruise dates, destinations, arrival and departure schedule. In other words, it acts as a pamphlet for all your up-coming cruises. 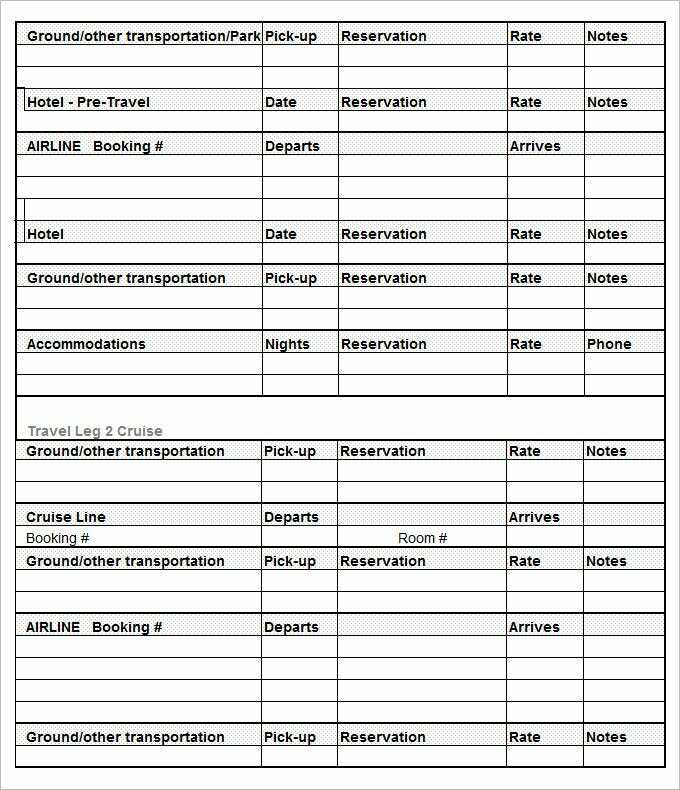 www.jtbtours.com | This is a Cruise Itinerary Template used by Cruising Companies to plan their trips. 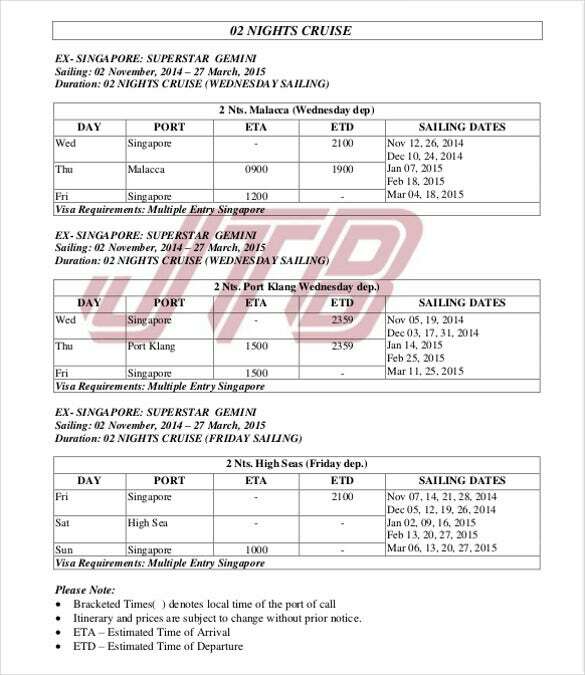 In a single page, this Itinerary gives you the outline of the entire cruise from end to end with all other details like halts, duration at every port etc. 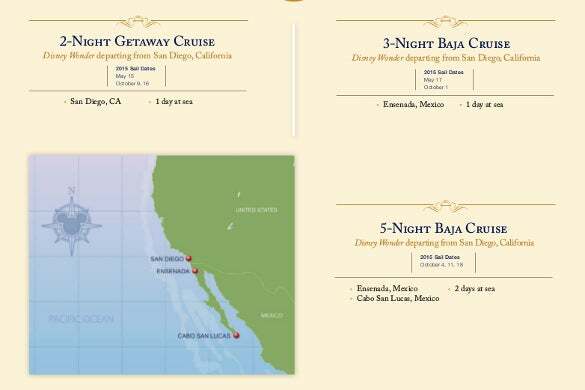 disneycruiselineblog.com | This Disney Cruise Itinerary can be used for Cruise Companies to organise and advertise about their cruises. A destination map can be incorporated in it with the cruise dates and time. 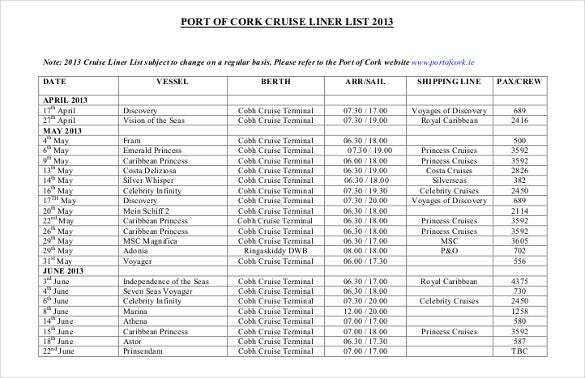 cobhharbourchamber.ie | This schedule gives the complete details of the different ships sailing to various destinations, number of passengers on board, the shipping line, Vessel name, dates etc. It acts as a great reckoner for cruising companies. 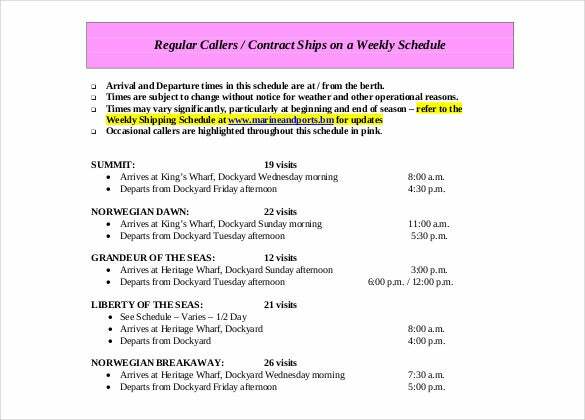 www.miamidade.gov | This Cruise Guide can be used by Travel managers of a Cruising company to distribute to their customers as a guide to the schedule of the cruise. 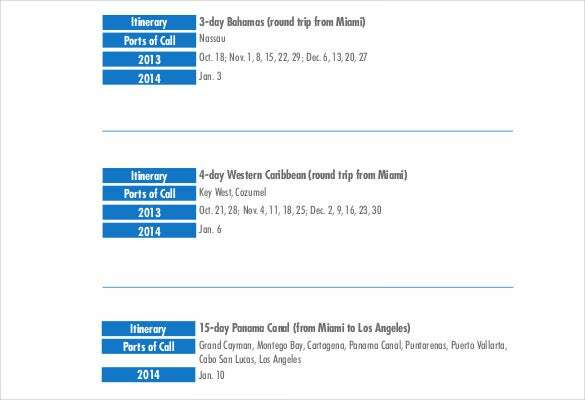 It has the destination, Ports of call details, Dates etc. 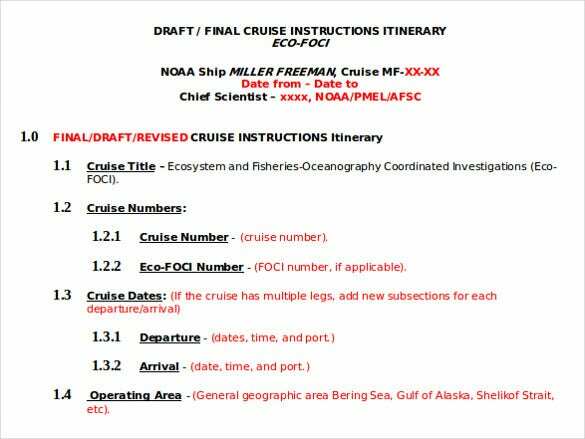 www.pmel.noaa.gov | This is a Cruise Instruction Itinerary Template provided by the Cruise to its passengers giving them the details of the Cruise. It can be easily downloaded and customised and made to act like a quick reference. 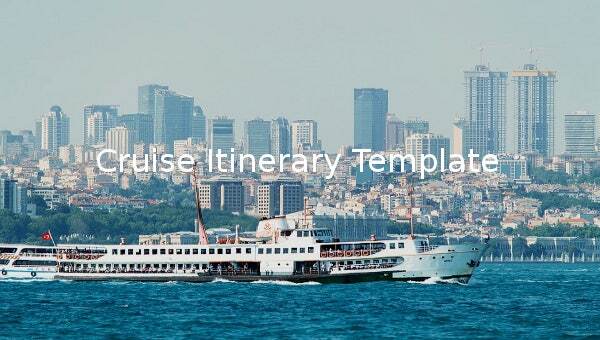 This is a PDF based Cruise Itinerary Template gives you a brief description of the travel destination along with the details of accommodation. You can also include an image to give this template more life.